When I was a little girl, I loved those advent calendars you buy at the store that have a piece of holiday shaped chocolate behind each cardboard window. We also made the red and green paper chains in grade school, where you take them home and tear off a link each day so you can keep a countdown until Christmas. Oh, the childhood memories. Well, this is the first year my hubby and I have done an advent calendar together. These pictures will all be from my phone as I have been Instagramming each day’s activity. 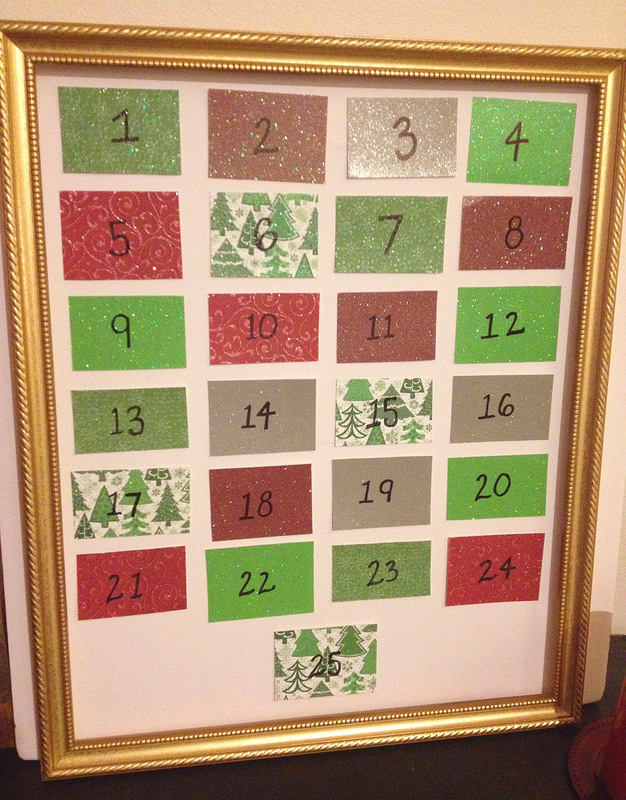 The quality is not the best, but the convenience makes up for it :) So, I made this advent calendar myself, using all things we had at home already. The frame I found at a yard sale years ago for fifty cents! I’m sure that since it doesn’t have a back, the old owners had deemed it useless, but let me tell you– I’ve already gotten so much use out of it! I’ve used it as a prop for multiple photo sessions, decoration for various parties, and it decorates my house when it’s not doing anything for special occasions. Fifty cents well spent, I’d say. For the calendar, I placed a piece of cardboard poster-board behind it to stick the daily cards to. I had sparkly Christmas card stock from previous Christmases, which I cut into small squares. (No measuring or aiming for straight lines for this girl. Sometimes imperfections are charming!) I numbered the cards 1-25 on the front and wrote down Christmas activities on the back. For some days, such as weekends where we already had plans, I put down what we would already be doing so that our activities wouldn’t conflict with our schedules. For example, we are spending a weekend in Leavenworth, so I made sure to write down activities that we would want to do there. For the other days, I simply picked activities we want to do anyway this Christmas and put them on random dates. So, we have no idea what’s coming for most of them :) Every day we turn one of the cards over, do the activity, and see we are one day closer to Christmas. 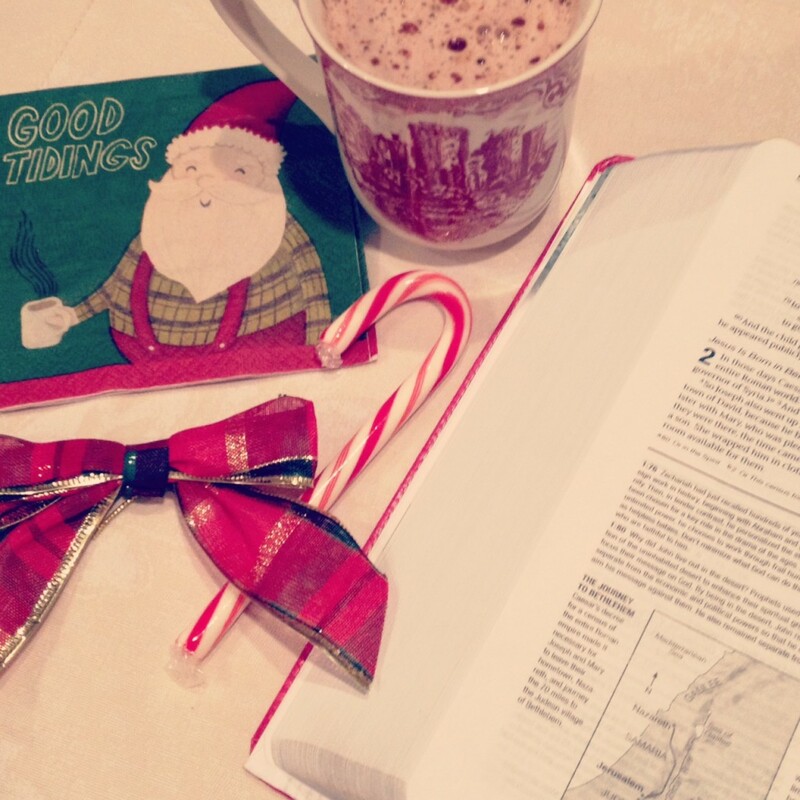 This is a great way to incorporate Christmas bucket list activities into your daily schedule, rather than forgetting and trying to do it all at the end of the season. Now I want to share how our first week of our advent calendar went! December 1 || Trim the tree This was Sunday, so after a busy day of Church, grocery shopping, and Christmas shopping, we had a cozy night of drinking pink champagne and decorating our Christmas tree! 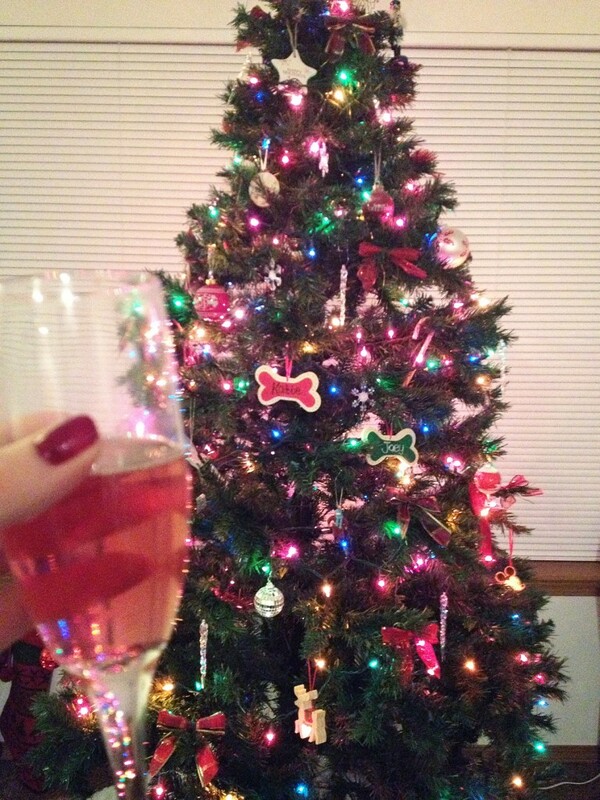 (Trimming the tree is reason for celebration, hence the champagne!) We ended up watching Home Alone after this too. Love that movie! 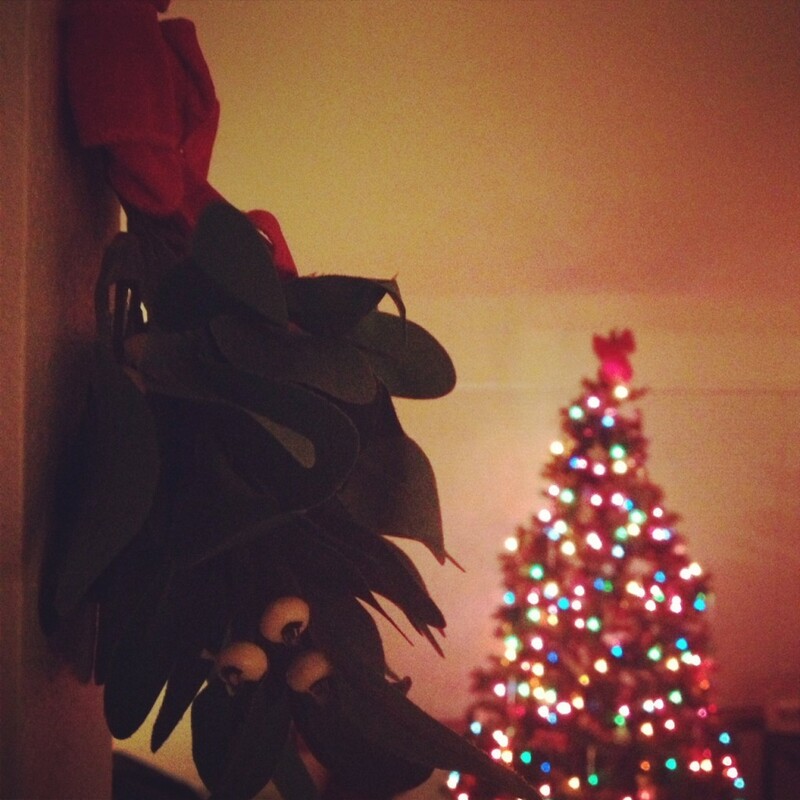 December 2 || Meet under the mistletoe I feel lame for even admitting this, but we had our mistletoe up for a couple weeks already and had yet to steal a kiss under it. I’m glad I included it in our activities because after a busy Monday, it reminded us that we should always leave a little time for romance. December 4 || Read the Christmas story in the Bible We took turns reading the Christmas story in the bible out loud. 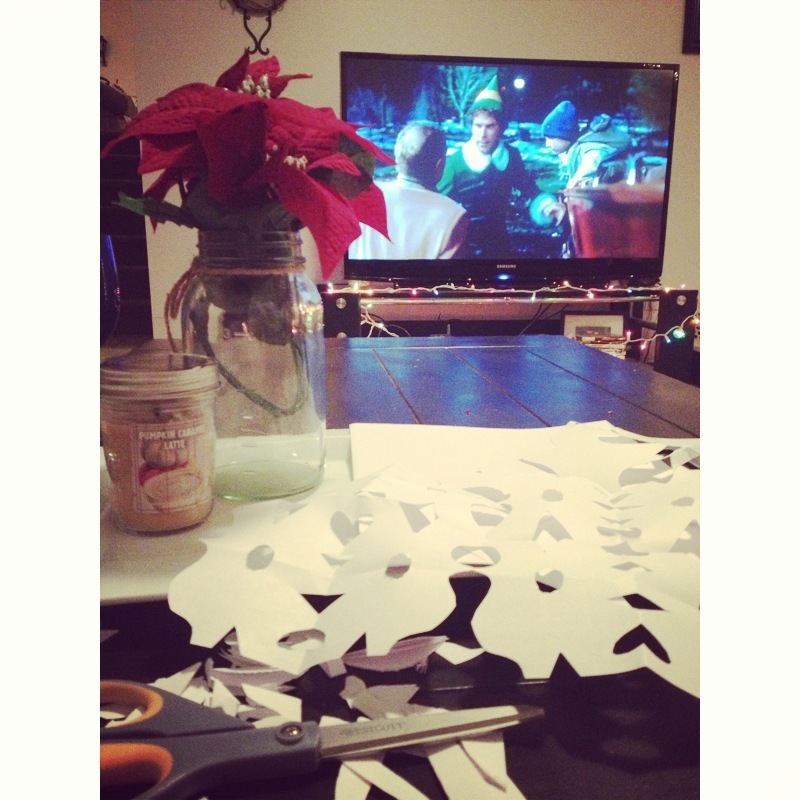 It was the perfect after-dinner activity. We had caramel hot chocolate as well, which was so delicious! December 5 || Watch the Grinch and eat Grinch grapes To clarify, we watched the cartoon version because it’s the one we have at home. It is so adorable and reminds me of my childhood. Plus I love that it was made so long ago. Our “Grinch Grapes” are really sour patch grapes. They are delicious. 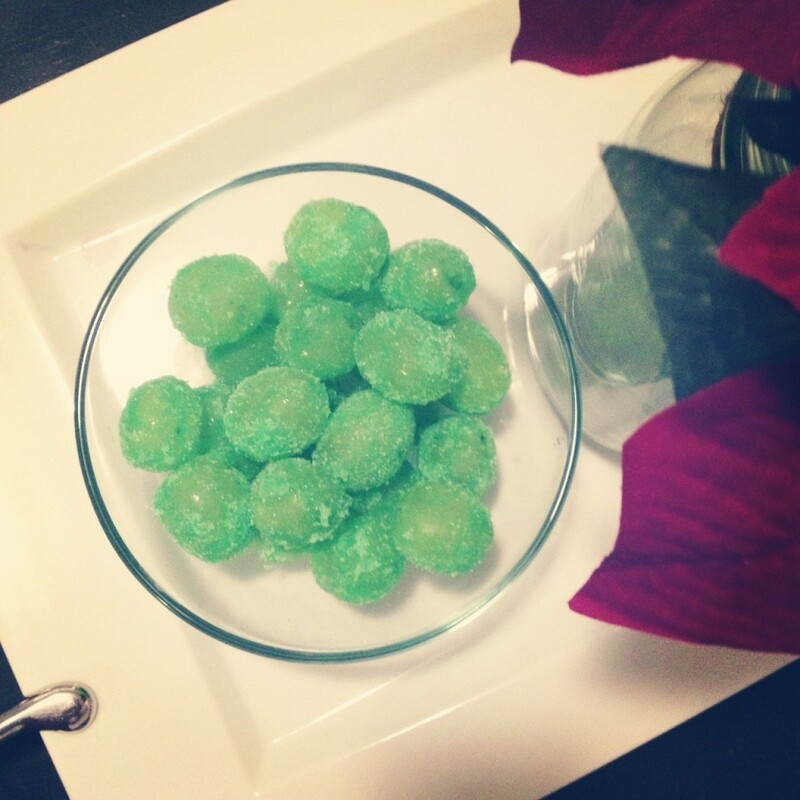 Simply green grapes + lime jello powder. 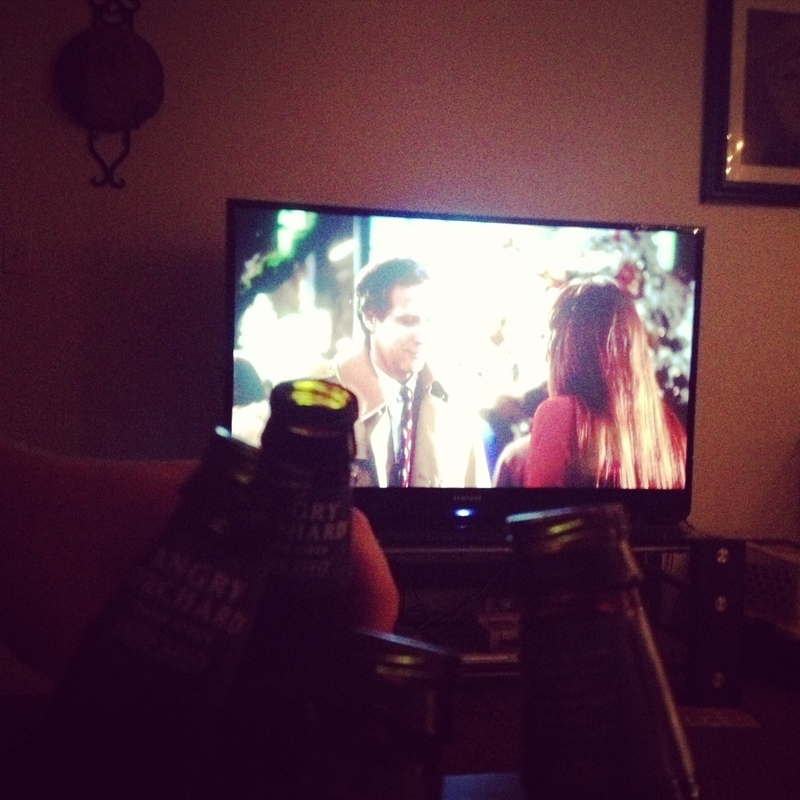 December 6 || Christmas Vacation drinking game Christmas Vacation is another favorite. It’s hilarious every single time you watch it! Since this was Friday night (last night) we had friends over to play the game. It was so much fun! We had all the perfect Friday night elements: pizza, drinks, friends, and lots of laughter. Check out the awesome drinking game here! Are you doing an advent calendar this Christmas?